What does Developer story do for me (as opposed to regular bulleted resume format, including that used by SE careers site before) if I'm NOT Rear Admiral Grace Hopper, but a regular, boring, non-opensource developer who is not a unique superstar in my field? Especially if most of my career - perhaps outside SO participation - has been in a closed-sourced world, so I don't have any way to link to exciting libraries I developed, or to wonderful projects I spearheaded. You are also what you've worked on; what you've written. Yes, I once single-handedly wrote an ETL product which allowed my company to avoid paying licensing for Informatica's ETL and increased the company's ETL developers' productivity 10x. No, I can't show my work. It's proprietary corporate code. Yes, I have improved a complex query's LIO performance by 96%, which comprised 3% LIO reduction of a central DB server of a large company. No, I can't put a link to Github changes, without getting arrested (or, worse, fired) for posting company code outside company's VCS. So, short of including my SO rep, which I already have on my resume, what can I include on my Developer Story to make it any more exciting or useful than my regular bulleted resume or Careers CV? What comparative benefits does Developer Story offer me as a developer and what can I do to realize those benefits? Developer story might not work for you, but certainly you don't need to be as glamorous as Grace Hopper to benefit from it! 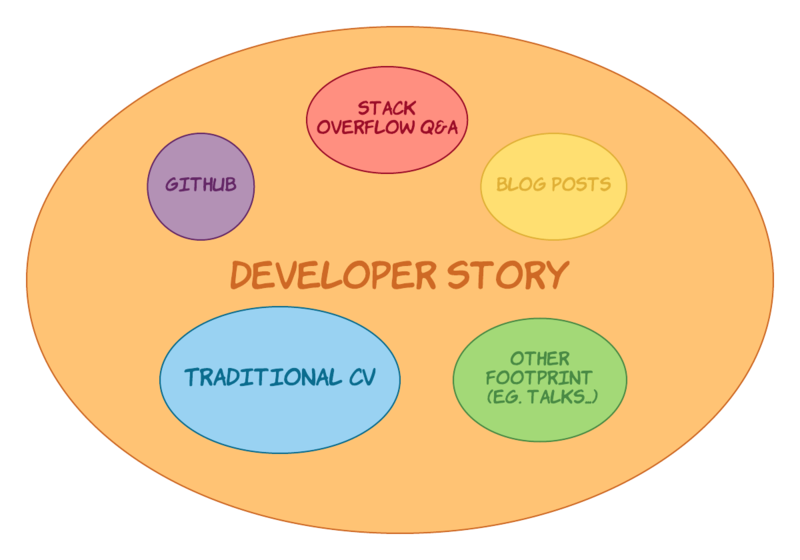 Developer story is a superset of a CV. For some people, it will never be anything better than a CV, and that's OK. For other people, including yourself, it gives the opportunity to mix in some notable artifacts to give a more rounded view of yourself. In your case you have a number of great answers that you can add to it. DS solves a problem that employers have: for each candidate they need to research their internet footprint to understand them better but CVs generally are not very helpful because they contain, at best, only links to blogs/GitHub/Stack Overflow, but not a selection of content. DS aggregates most of it. DS solves a problem for experienced developers that work in B2C sectors where showing the portfolio you have is much more important than showing the faceless agencies you worked for. DS solves a problem for developers stuck in bad jobs, by allowing them to showcase spare time efforts such as GitHub content and land better jobs. DS solves a problem for junior developers that do not have significant work experience by letting them show their other contributions to the field: a thesis? some experimental project? etc. And how does a traditional CV fail to accomplish any of this? The answer to this seems obvious if you look at the same information displayed in both. The CV view and the DS view all show the same information. 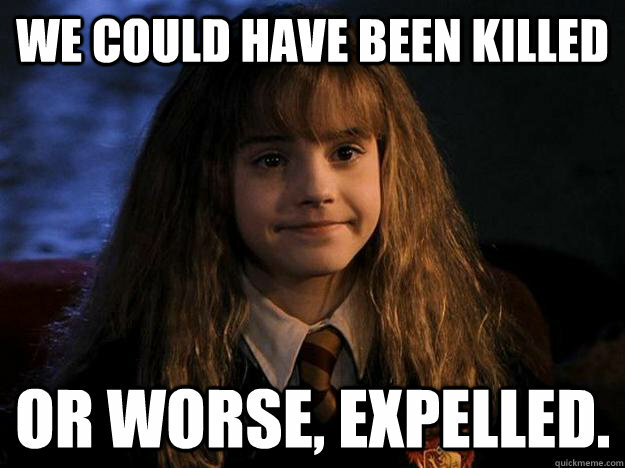 But they present it in a different way. The CV view emphasizes work experience; it's right there at the top. "Public artifacts" are buried way down at the bottom. By the time an employer gets down that far, they've already made most of their decision about whether they'd like to try to hire you or not. Those things, if they exist, would be considered sweeteners at best. The DS view equalizes things with its timeline view. With the DS view, items that in the CV would be "Public artifacts" and "Experience" are given equal weight. As such, the DS view is useful for those people whose "Public artifacts" are their strongest suit. While the CV view is probably best for those people for whom work experience is their most important feature. I don't think it is unreasonable to give users the tools to put their best foot forward. Though personally, I can't say that I think the DS does a great job at that, but it does do a better job for those people than the regular CV view. I don't think it's as useful for an established developer. But as someone new (with a score just over 1/20,000th of yours) and a ton of experience to gain, the Developer Story is a great tool to have on our standard resume to say "hey, here's proof I'm improving myself and making good arguments/answers/points with the knowledge I do have" that will grow and evolve as I do. If you look at my developer story, you'll see I've so far had a rough go of things (my first job only lasted 8 months! :( ), but have the ability to make something small stand out (my award and extra learning from the LaunchCode program) that would normally get overlooked by folks. The key thing here is I don't have a degree, and probably never will so now I have a centralized place to say "Hey! Look at this, I can PROVE I can do it!" Not the answer you're looking for? Browse other questions tagged discussion developer-story . Where can I enter tech I know on developer story if I didn't use that on previous positions?